We totally get it! A wedding planner telling you to hire a wedding planner. But, the truth is, the time spent not worrying about every little detail of your wedding and actually enjoying the time of your engagement pays dividends later. Having a wedding planner in your corner, one who knows all of the wedding beaches on Maui and has contacts with vendors, photographers, and not to mention knows the intricacies of this island we call home is worth its weight in gold. The best part is, it probably costs less than you think. #2: PLAN FOR THE RIGHT TIME OF YEAR – FOR YOU! The rumor is that Maui doesn’t have seasons, which is true for the most part. But what we do have is slight variations in the weather depending on the time of year. I guess you could call them mini-seasons! For the most part, it’s 87 degrees and sunny, but towards Fall and Winter, you will see more overcast skies and a better chance of showers. We perform weddings year-round, and some couples just love the soft light and gorgeous sunsets that come with an overcast sky. Be sure to plan around the weather for the best chance at your ideal wedding day. Hawaii is about 2500 miles from the US mainland, which is a fair trek for any wedding guest! Be sure to take travel and accommodations into account when planning your destination wedding. Maui has a number of fantastic hotels and vacation rentals near the best beaches on the island, not to mention the fresh local cuisine and fun activities for the entire family. 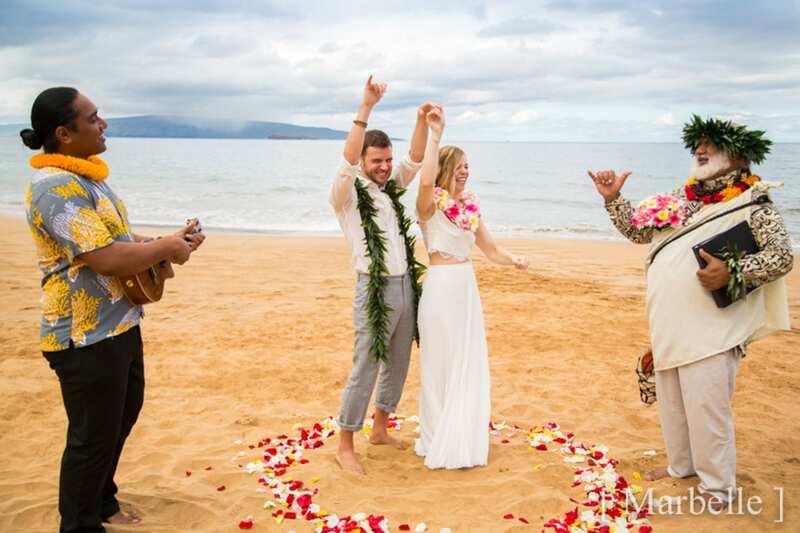 Ancient Hawaiian Weddings can give you recommendations to turn your destination wedding into a fun mini-vacation for your guests, making the time spent on Maui just that much more special for all in attendance. The old adage holds true: Keep it simple! There is SO much great information on the web for planning destination weddings that your picture perfect day can quickly become overwhelming. 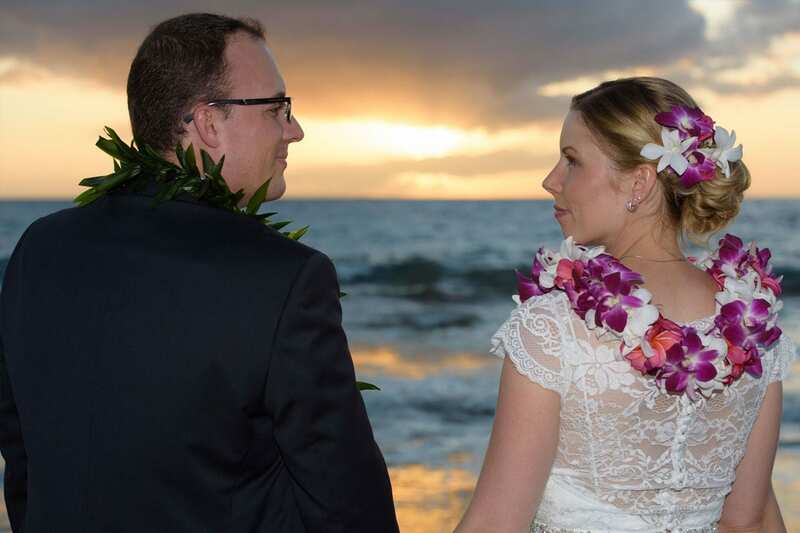 After planning hundreds of Maui weddings, couples tell us that the most important part of their day was having time to enjoy it with those they love. Part of hiring a professional to plan your wedding is alleviating you from the stresses of the day so you can just be with your people and fully experience the joys of having your wedding on this gorgeous island. 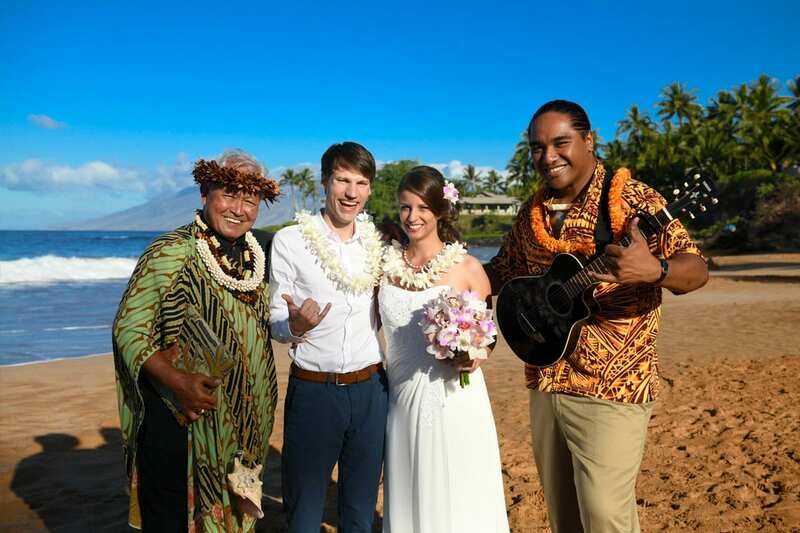 At Ancient Hawaiian Weddings, we have helped hundreds of couples achieve their dream of a perfect Maui beach wedding. We’d love to chat with you if you’re thinking about getting married here, or just have a few questions about this island we call home.